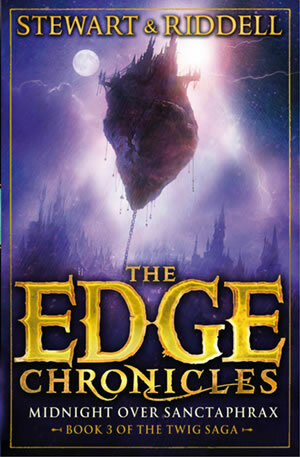 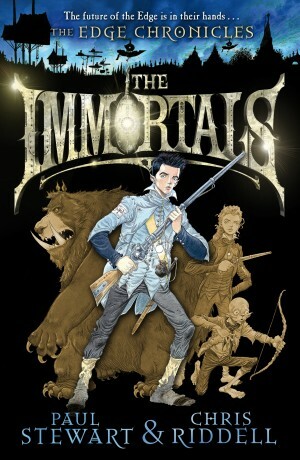 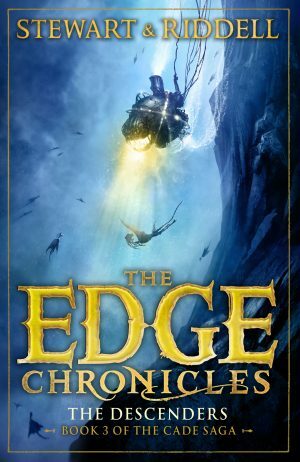 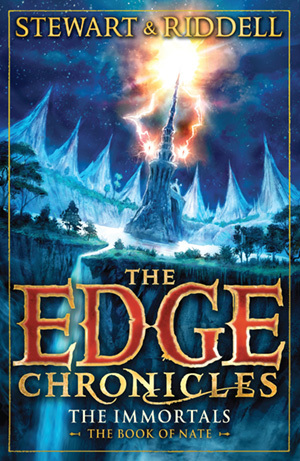 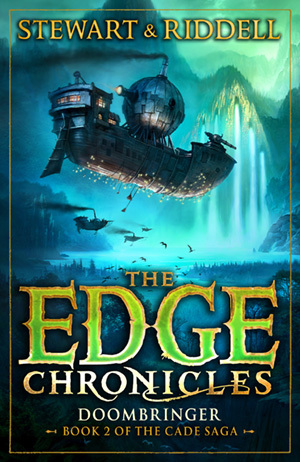 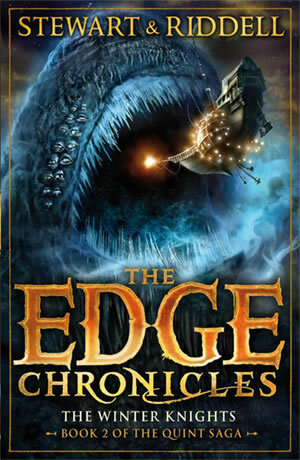 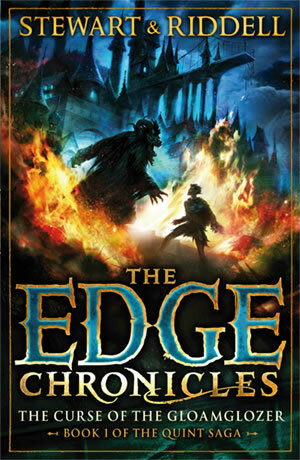 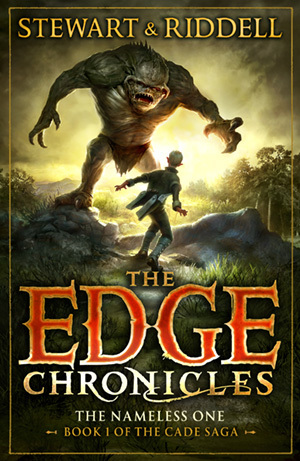 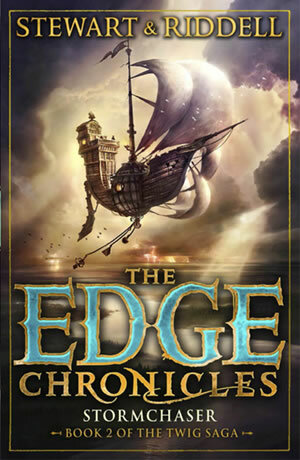 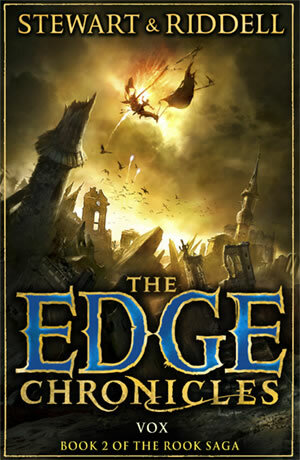 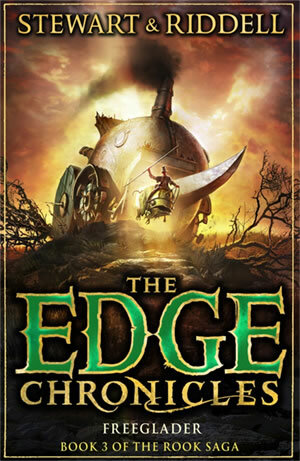 The Immortals is the explosive conclusion to the Quint, Twig and Rook sagas of the Edge Chronicles. 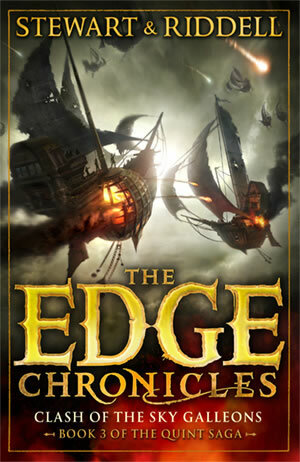 It’s five hundred years into the third age of flight and mighty phraxships steam across the immensity of the Deepwoods, plying their lucrative trade between the three great cities. 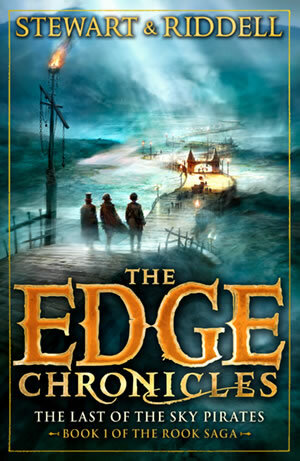 Nate Quarter, a young Lamplighter from the mines of the Eastern Woods, is propelled on an epic journey of self-discovery that encompasses tournaments, battles, revolutions and a final encounter with the Immortals themselves. 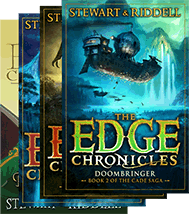 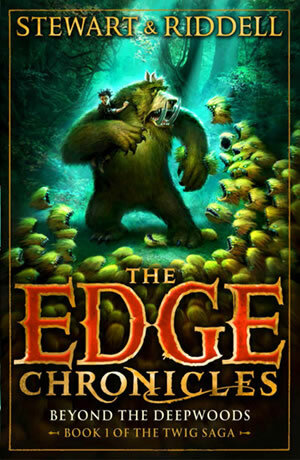 This book concludes the Quint, Twig and Rook sagas but can also be used as a way for new readers to discover the series before going back to read the individual Twig, Rook and Quint trilogies.